Come and bid in our always fabulous silent auction - there will be many beautiful items to bid on! Once again this Help A Horse Day we are extremely fortunate to have an incredible opportunity to raise a lot of money for the horses – one of our generous donors is offering to match all donations made up to $10,000! This was very successful last year and we hope this year can be the same! People can send donations through the mail, PayPal, or go to Horsemen’s Outlet on the 28th, but it must be noted that the donations are for Help A Horse Day only. In addition, all funds raised from our silent auction, bake sale, food sales, and merchandise sales on the 28th will also be matched. This is a wonderful opportunity for the rescue horses, but we need your help in matching the $10,000! 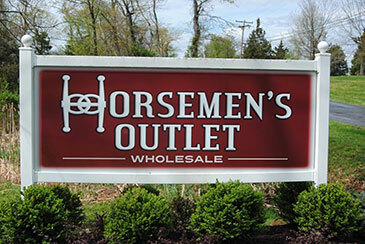 Horsemen’s Outlet will be offering a chance to win a $500 gift card to the store to all who bring one non-perishable food item for the Calvary Bible Fellowship food pantry. They will also offer a 20% discount on one item in the store. There will be vendors and a tack sale as well. Another way you can help - WE NEED BAKERS! 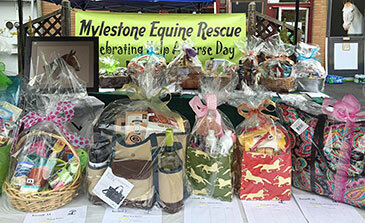 If you can bake for Help-A-Horse Day, please contact us at info@mylestone.org or (908) 995-9300. We also need SILENT AUCTION ITEMS - we are looking for fabulous (new) items for our silent auction to help raise funds. Please contact us as above if you can help. Thank you!! Any donation you make - directly to Mylestone or at our bake sale, merchandise table, etc. - so long as it’s indicated for Help A Horse Day - will all qualify to be matched by our very generous donor up to $10,000!! We are so fortunate - and grateful - to have this opportunity again this year, so let’s make it count!! If you can’t make the event, please make a donation and indicate it's for Help A Horse Day. You can also send a check by mail (Mylestone Equine Rescue, 227 Still Valley Rd., Phillipsburg, BJ 08865) and just mark HaHD in the memo for your funds to be counted for this event. 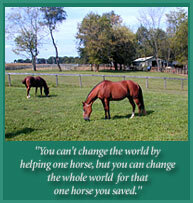 We truly need your support for Mylestone's rescued horses and all our efforts on behalf of horses. 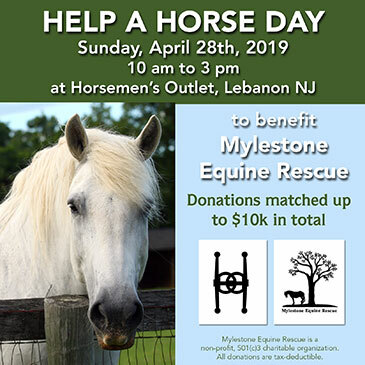 Stop by and help our Mylestone horses on Help a Horse Day, Sunday, April 28th! We need your support to make this happen! Feed the Horses for the Holidays - 2018! It Was A Wonderful Open House 2018! Unable to Make It to Open House This Year? Order Mylestone's Beautiful 2019 Calendar! Join Us at Open House October 7th! Please Donate to Our Open House Silent Auction! Help A Horse Day Exceeded Our Expectations!